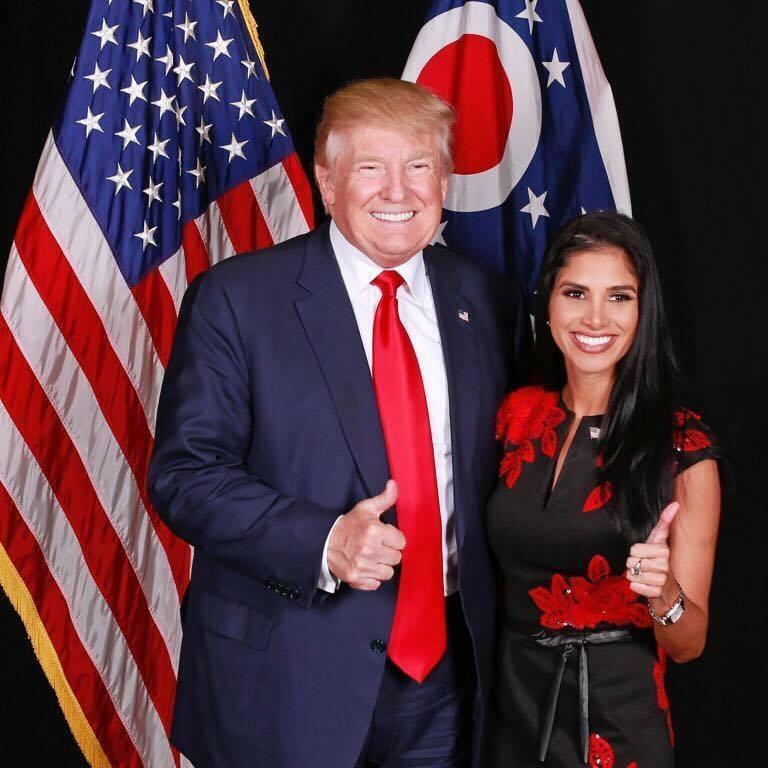 Madison Gesiotto is no ordinary woman; although she excelled in quite a number of pageants and competitions while she was in school, it is her views on politics and issues in America that has made her name known to most people. She possesses beauty and intelligence in a seemingly equal measure and has been able to relate with her generation, leading meaningful conversations on topical issues in politics and law. The woman who won the Miss Ohio USA pageant in 2014 has also sat on the United States Senate Committee on Small Business and Entrepreneurship. Read on and learn more about her. Madison Gesiotto got her first breath of life in Pittsburgh, Pennsylvania on the 20th of March 1992. Much of her schooling, however, happened in Ohio as she attended Jackson Local Schools in Massillon, Ohio. She trained early as a figure skater at the Winterhurst Figure Skating Club in Lakewood, Ohio, and took the sport into the competitive level. In fact, she was coached by the Olympic figure skater and retired actress, Carol Heiss. By 2010, she hit peak figure skating accomplishment when she passed her gold/senior tests in free skating and moves-in-the-field. She went on to Ohio State University where in 2014 she graduated with a Bachelor of Arts in Political Science. While in school at Ohio State, she represented Columbus in the 2013 Miss Ohio USA pageant. She finally came in at the fourth position in the pageant but was able to score some treasured connections. Madison returned in 2014 to represent Mid Ohio and won. Following her win, Madison Gesiotto got featured by various TV stations and news outlets. She was featured not only because she had won the pageant but because she had shared views that promoted political awareness while also raising funds for the Wounded Warrior Project. While making her TV rounds, she managed to wow many hosts including Stefani Schaefer and Kristi Capel. She soon returned to Ohio University where she graduated from the Moritz College of Law in 2017. This time, she bagged a Juris Doctor degree. While she was a law student, she was a staff editor for The Ohio State Journal of Criminal Law. After such a mixed journey of learning, Madison Gesiotto began to ply her trade as a social commentator and writer. She authors a weekly column at The Washington Times which is named Millenial Mindset. Gesiotto with the Millenial Mindset delves into issues around American politics and legalities. She has also served as an anchor for The Washington Times Exclusive Weekend Briefing and The Washington Times Exclusive Daily Briefing, but both eventually stopped airing. Gesiotto is never afraid to actually jump into politics. She worked on the presidential campaign of Mitt Romney in 2012 and once described herself as the Regional Press Secretary for half of America during President Donald Trump’s first round of campaigns. She meanwhile, seems to be a big fan of the President. When President Trump was accused during campaigns of making sexist remarks to a winner of the Miss Universe pageant, she defended him in her Millenial Mindset column, bringing up two instances when she had met with the President and interacted with him. She also detailed her reasons for supporting him. Madison Gesiotto’s parents are Sherri Lucas Gesiotto and James Gesiotto. The two are Americans who have raised a very admirable daughter and are regularly supportive of all her strides and endeavors. Madison also shares some of her proud moments with them on her social media channels, giving the world a prime picture of a happy and supportive family. With all the focus on Gesiotto’s intellectual achievements, it can be easy to forget that she was once an athlete and a model. But then, just a look at her measurements would cure anyone of that forgetfulness. This very beautiful woman stands at a height of 1.68 m and weighs 59 kg. Her measurements give her a perfect, enviable shape that no doubt served her well in her modeling days and should she ever choose to go back to the world of pageantry, it is certain that she will still be a show stopper. It is believed that her body measures 37-25-37 inches.